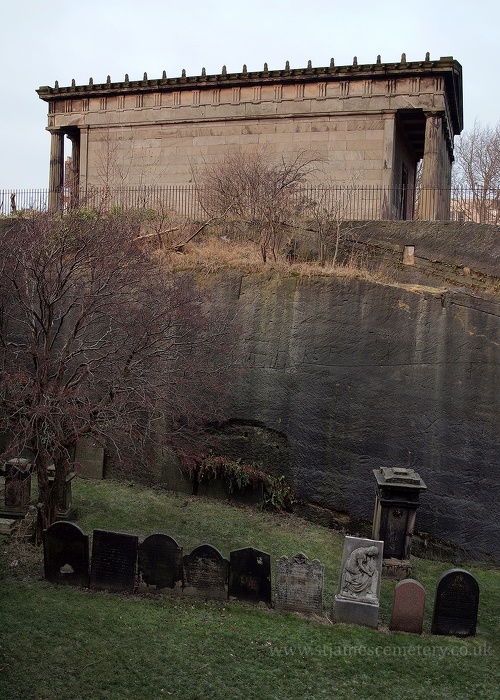 The oratory from the south at the top of a rock cliff face. Below in the grass is a row of gravestones and monuments. This is the north-west corner of the cemetery - originally part of section O.